There is a lot to think about when designing and constructing a new building, as many are in the Nashville and greater Middle Tennessee area these days. This includes what to use for flooring. There are a variety of benefits to many of the most popular flooring materials, but which one is the right one? This little guide should shed some light on the situation and help you in your choice. Commercial carpeting is almost always the best option for flooring in most businesses, which is why you see it so often. For one thing, commercial carpeting is a good deal cheaper than just about all other options, especially when buying in bulk as one presumably would for a project of this magnitude. The wide range of colors and styles it comes in means you can keep the same material and switch up the visuals as often as you would like. Additionally, commercial carpeting is a lot easier on the feet than other options, meaning it is great for places where workers are standing for a long time. As an added bonus, commercial carpeting helps clamp down on the sounds of everyday life, meaning that it is great for offices where workers need to focus. Commercial carpeting might work for the standard office, but what if your business needs a little flash and panache? That’s when you come in with traditional hardwood flooring. It is best suited for places that have less foot traffic and offers a more refined and classy look, because let’s be real: traditional hardwood flooring is a lot fancier than your average carpet. This feeling comes at a cost though, as hardwood flooring involves a lot of upkeep. It scratches easily, depending on the specific wood used; it is heavily susceptible to moisture; it doesn’t hide or trap away dirt or hair, meaning that it needs to be cleaned regularly or it looks trashy. It might not be worth it to some, but the look of a nicely polished wood floor is almost priceless. Laminate Flooring: The Best of Both Worlds? Of course, the best option might be laminate flooring. It can be made to look like any manner of traditional wood flooring, but also offers the comfort and easy cleaning of commercial carpeting. It will probably find its way into your business anyway, since it is pretty much the standard for bathrooms and kitchens everywhere since its construction handles moisture and scratching better than any other material. Laminate flooring is also one of the cheaper products available on the market. It will always be tricky to pick the floors for your new office building or your new home. Enlist the help of the professionals here at Ozburn-Hessey and they will be able to help you navigate the world of flooring and pick the best option for you personal tastes – but also the one that makes the most sense for your home or office. Commerical flooring is an investment in your business. Explore color and finish options for your office floors and get answers about commercial flooring installation from the experts at Ozburn Hessey. A lot of people tend to get caught up in selecting the material to use for flooring in their home and might neglect one of the more important decisions in this process: the color. This is understandable if they are using residential carpeting or laminate flooring, since there are an almost infinite amount of color and style options available. Traditional hardwood flooring is a bit more limited. With these things in mind, here is a little guide to help you get started. You might be tempted to avoid lighter colors due to their propensity for staining, but they are one of the best options available, especially if you are concerned about space. Lighter colors tend to make smaller spaces look much larger. If you want your bedroom to look a little bigger than it is without sacrificing space elsewhere, one option is to use a lighter shade of carpet. This includes whites and lighter shades of colors, like a pastel blue or a light cream color. While you certainly are able to go with something a little darker due to the fact that carpet is more dense and sits higher than pretty much all other flooring materials, it will make the room look exponentially smaller. This might be great for very large rooms, or if you are using commercial carpeting, but it will only shrink the rooms in your home. If you’re looking for a good tone to use in the kitchen but aren’t sure what will look good, gray is a wonderful tone. For one thing, it doesn’t really impact the way you perceive the size of the room. For another thing, grey is dark enough that it won’t show any stains from food as prominently as a lighter shade would. A dark kitchen floor will just look strange. Neutral colored flooring is also a good fit for an office since it won’t reflect the light from the harsh fluorescent overhead lighting in many offices, which can be harmful to the eyes. If you plan on installing traditional hardwood floors, you will have darker toned floors. Most finishes for hardwood flooring are darker in tone because it helps hide away a lot of the natural scuffing and scratches that are part and parcel of having hardwood floors. If these things do show up, they will show up as character in the wood, not as an eyesore. The color’s impact on size isn’t always a bad thing, either. It will help make a living room feel more cozy and inviting, or bring the family together around a fire. There will always be a place for the colors and shades you want to use in your home or office. The trick is to find the best place to utilize the components working in favor of those colors or against them. This can be tricky sometimes, which is why if you live in the Nashville and greater Middle Tennessee area, the professionals at Ozburn-Hessey are waiting to talk to you. Contact us today to learn how we can help you with all of your flooring needs. Choosing flooring colors for your commerical or residential space doesn't have to be stressful. Check out expert recommendations from Ozburn Hessey for a beautiful home or office flooring. Choosing the materials to use in your home can be difficult due to the sheer number of materials available on the market these days. If you do fall in love with something – let’s say bamboo flooring – it probably isn’t a great idea to use it in every room. With that in mind, here is a guide to the flooring mediums you should use and good places to install them. Hardwood flooring is an essential option. No matter if you want a lighter, softer wood (like pine) or a harder, tougher wood that will more easily stand the test of time, hardwood flooring is always going to have a place in your home. For one thing, traditional hardwood flooring is just about the toughest flooring material you can. Although it might be a little more expensive than some of the other options, it will last longer than any of them if it is well cared for. Installing a hardwood floor is an investment in the future of your home. As for where it should be installed, the family or living room is the best option. Installing a hardwood floor in these rooms cuts down on the risk of large water spills. Wood’s natural durability means it can handle a lot of foot traffic and the weight of heavy furniture without cracking under the pressure. For those who like the feel of wood under their feet, hardwood flooring is also a good idea for bedrooms. Thanks to the continued popularity of hardwood flooring and the rise of options like linoleum plank flooring, carpet seems to have lost some of its luster in the eyes of the public. But as anyone who has gotten out of bed in the middle of a cold night can tell you, there isn’t really a substitute for the feeling of a cozy carpeted floor in the bedroom. Residential carpet comes in many colors and options, meaning you have a lot more options to play with. This is ideal for bedrooms and offices since you can decorate and play a lot more in those spaces. Upstairs rooms are particularly suited for carpeting since there is little risk of moisture or water messing up the carpet. It’s a no brainer to put linoleum flooring in your bathroom or kitchen since it can handle moisture and water better than just about any other option. That reason alone is enough, but linoleum can also be styled to match other patterns and color schemes. If you like the look of wood flooring but understand that having it near all of those water pipes and potential spills is a bad idea, then it would be smart to install a floor that can handle the risk instead. Linoleum can provide a seamless match. There are a lot of options to use for flooring in your home – and you can always use more than just one. By mixing and matching flooring materials throughout your home, you optimize the floors by utilizing their natural strengths. And if you are in the Nashville and Greater Middle Tennessee area, you can maximize your flooring knowledge by taking advantage of the professionals here at Ozburn-Hessey. Choosing a flooring finish for your home or office? Learn what to consider for commercial or residential flooring. Questions about design or flooring installation? Call the experts at Ozburn Hessey. Taking care of the environment is something that needs to be done in every aspect of our lives. When it comes to flooring, this means paying attention to which of the common materials are used, as not all flooring materials are equal when it comes to being eco friendly. With that in mind, here are some ways you can make your flooring more eco-friendly. Cork might not sound like something that belongs under your feet instead of on the walls, but cork flooring is one of the most eco-friendly options available. The trees the cork is harvested from are not cut down or killed; rather the necessary ingredients are harvested from the core of the tree, which heals over time. Beyond that, the cork-based flooring has wonderful anti-allergen properties, and is naturally fire-retardant. The material can be styled in a variety of ways, and is pretty durable too. Bamboo is a material that has been used in flooring and buildings for some time, but it only recently is beginning to makes any headway in the American markets. Bamboo is a lot more eco-friendly than traditional hardwood flooring, since Bamboo trees grow back in about a quarter of the time that it takes most hardwood and softwood trees to grow back, making it pretty renewable. Linoleum is actually one of the most eco-friendly options available, since it is not made from plastics and chemicals like vinyl flooring. Linoleum is actually a combination of several organic materials, including oil, cork, tree resins and crushed limestone. Linoleum plank flooring is one of the most popular flooring options available, and linoleum itself is one of the hardiest materials, holding up against moisture and water better than just about every other option. We won’t forget about carpet. Residential carpeting is something you will find in most homes, and while it does have its’ share of problems, it can be eco-friendly if it is made with the right stuff. Wool carpet in particular is made from wool harvested from sheep. 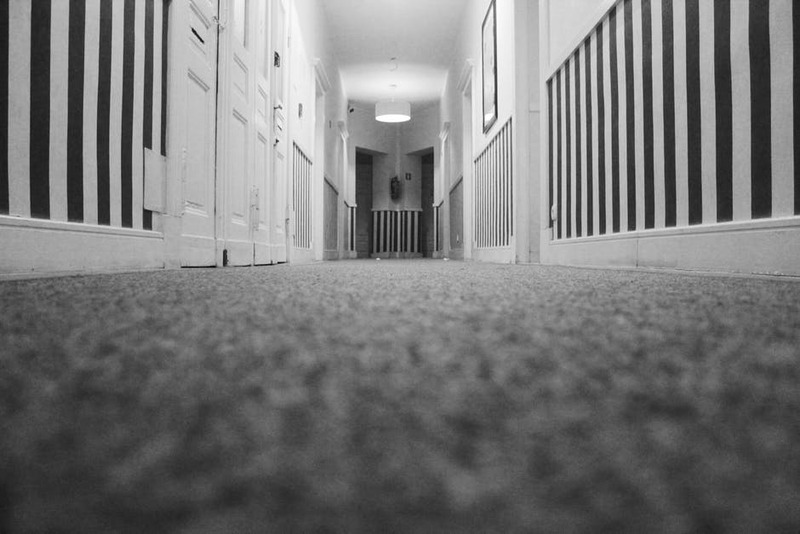 There is a long history of wool carpeting, with good reason. It can be styled in many, many ways, and is a renewable source. Wool carpet in particular does not use a lot of the harmful chemicals in the creation process the way a lot of synthetic carpets do. Just because traditional hardwoods are not particularly eco-friendly themselves does not mean there isn’t a way to make them eco-friendly. The best way is to use reclaim hardwood. Most hardwoods are supremely durable and will last for centuries, if properly maintained. Even if the material has seen better days, you can always sand away the scratches and imperfections and resurface it to have it looking brand new again. If you are in the Nashville and Greater Middle Tennessee area and are thinking about your floors and the way they impact the environment, maybe now is the time to make the switch. Ozburn-Hessey is here for all of your environmentally friendly flooring needs, and will help you every step of the way, from picking out the perfect floor to installing it. "Green" flooring is here to stay. Learn your options for eco-friendly commercial flooring, or environmentally conscious residential flooring. The experts at Ozburn Hessey can help you choose and install green flooring for your home or business. Residential and commercial carpeting is one, if not the most popular forms of flooring available on the market these days. Thanks in part to the ease with which it is installed and the sheer number of design options available, this makes sense. Unfortunately, carpeting comes with a whole host of problems that other flooring materials like traditional hardwood flooring or laminate and vinyl floors do not have. One of the most common problems with carpeting is the way that toxins and airborne pathogens get trapped in the fibers near the material’s surface. Since carpeting is a much more complex material than other flooring options, there is little that can be done to prevent this from becoming a problem ahead of time, apart from buying an air filtration system. This is definitely a problem in homes with cats or dogs, anywhere that receives a lot of foot traffic, or places where heavy furniture and equipment regularly move across the surface. No one wants to see the carpet all snaggled and looking rough, but this is one of the most difficult carpeting issues to take care of. Not much can be done to fix the problem, but if you have some of the original material left over, you can cut small sections of the offending carpet out of the floor and use a little carpet glue to put a new piece in its place. It might not look the best, but it will look a lot better than having stray fibers stretched out all over the carpet. Carpet wrinkling is another visual problem that can come from a variety of causes, including improper installation, moisture, or subfloor movement. It can be dangerous if left unchecked since the wrinkles change the landscape’s surface from something smooth and easy to walk across to something that could trip you up if you aren’t careful. The problem can be fixed, but it does require special tools such as a carpet stretcher and will take a couple of hours. You’ll need to pry up the carpet near the offending area and stretch the carpet back out until everything is flat again. Then you’ll need to tack everything back down into place. Despite all of the problems that are unique to carpeting, it can be a wonderful material to use in your home if it is taken care of. If you live in the Nashville and Greater Middle Tennessee area and you think you would like carpeting in your home or office, but are not sure about it, talk to the professionals at Ozburn-Hessey to get started. Carpeting problems are a hassle: but they can be fixed. Learn how to spot carpeting issues in your home or commercial carpeting from Ozburn Hessey: experts in carpet installation for homes and offices.